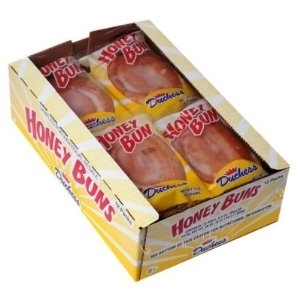 Dutchess Honey Buns are packed twelve 4.0 ounce individual wrapped servings per case. Oreo Cookies - 120 / 1.8 oz packs Rice Krispies Treats 20/1.3 oz. Entenmann's Little Bites - 18 Nature Valley Oat and Honey Granola Bars 28/1.5 oz.